Check out an interesting deal from DFDS cruise line. 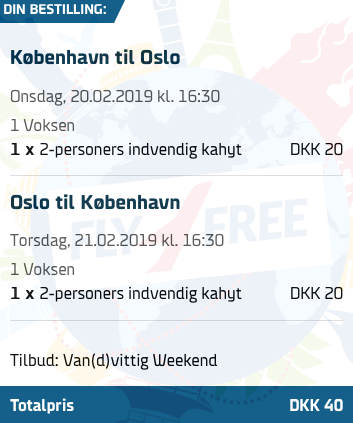 The Danish ferry operator is offering a promo code. 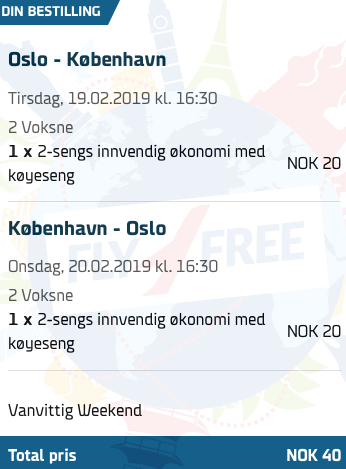 Tickets from Oslo to Copenhagen from only €1 each way per person (based on 2 travellers in a double cabin)! We have a city break idea for you. 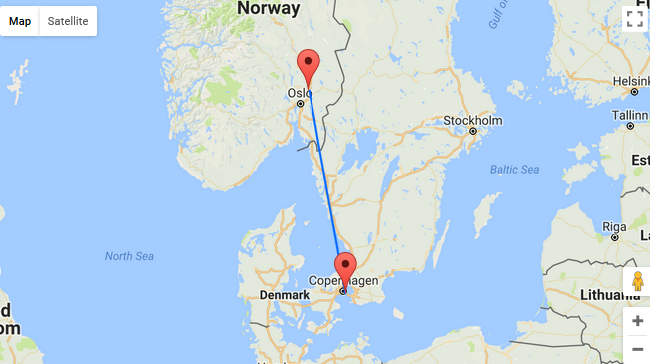 Grab your friends and book a ferry ticket from Oslo to Copenhagen or vice-versa for only €1 each way per person and travel in comfort! Follow the links below and use the promo code MFGFCO. We recommend you to use Google Translator.